Welcome to the Albion Historical Society, located in a small community with a rich history. The first Mother’s Day is believed to have originated in Albion in the late 1800’s, the Purple Gang of Detroit met here in the early 1900’s and Albion is the home of three Tuskegee airmen. The Albion Historical Society works to preserve and display the heritage of the Albion area as well as to operate the Gardner House Museum. 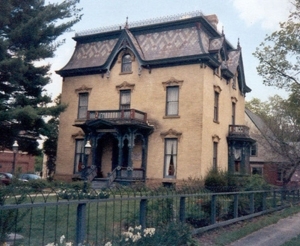 The Victorian house was built in 1875 by Augustus P. Gardner and displays artifacts, pictures, furniture, and many more period pieces. Here, learn about the Society, museum, and how you can visit and become involved.